"The Bachelor" alum AshLee Frazier is a first-time mother. 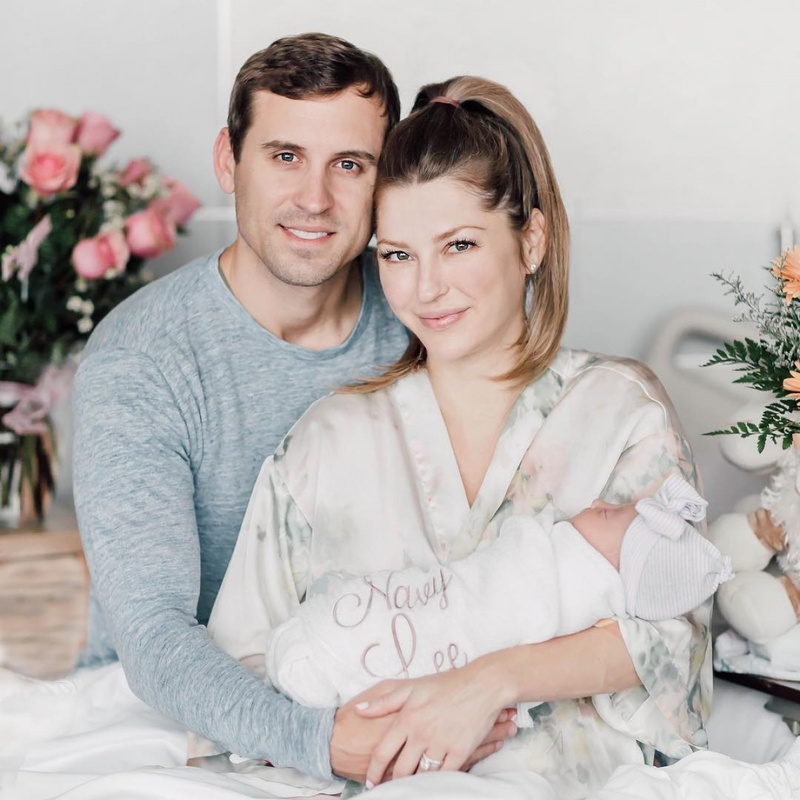 The 37-year-old took to Instagram Tuesday after welcoming a baby girl, Navy Lee, with husband Aaron Williams. Frazier shared a family photo of herself and Williams holding Navy. The portrait was taken by photographer Ashley Streff. "Navy Lee Williams," Frazier captioned the post. "Born September 11, 2018 at 3:23am 6lbs 11oz, 19" We are madly in love!" Frazier explained the significance of Navy's name in an interview with E! News. "Her name came from my dad, Bruce Lee," the star said. "When I was adopted my parents changed my name from Ashley to AshLee. It was important to them to make sure I felt as part of the family. Aaron and I wanted to continue that tradition." "On a day that we will all remember, our little Navy represents a new generation of love, joy and promise," she added. "We are madly in love!" Frazier had announced her pregnancy in a blog post in March. "We couldn't be more excited," she wrote. "I will say this, Aaron has been nothing short of amazing. Truly I married the best. He's going to be the best girl dad." Frazier competed for Sean Lowe's affections in "The Bachelor" Season 17 and later appeared in "Bachelor in Paradise" Season 1. She and Williams married in Houston, Texas, in March 2017.